MINNEAPOLIS – Sun Country Airlines has announced nonstop scheduled service to Aruba in its winter/spring 2018 schedule. “With the addition of Aruba to our destinations, we look forward to giving our Midwest travelers the opportunity to travel to an internationally renowned Caribbean island in the midst of our winter season,” says Zarir Erani, Sun Country Airlines President and CEO. Chief Executive Officer of the Aruba Airport Authority N.V James Fazio said the new route will give visitors from Minneapolis/St. Paul and the surrounding areas a more convenient way to visit the island. 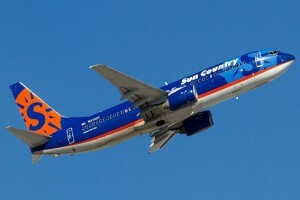 “We appreciate Sun Country’s confidence in the destination and look forward to a great partnership in the years ahead,” he said. Ronella Tjin Asjoe-Croes, CEO of Aruba Tourism Authority, added that the service accommodates the travel demands of American travelers “who have shown an increased propensity to visit our island in recent years”.